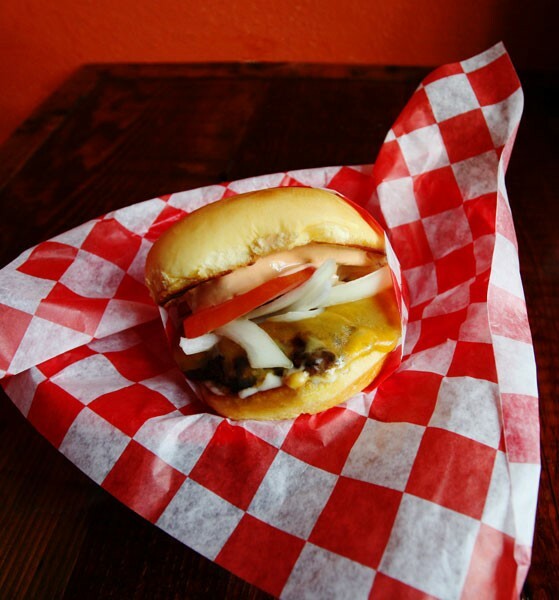 Li’l Woody’s serves good burgers made with Painted Hills beef, with the basic model starting at less than $5 (and it serves them until 3 a.m. on Fridays and Saturdays). The Trotter is topped with caramelized onions, apples, chopped bacon, and horseradish sauce; the Fig & Pig features bacon strips and fig jam; the Good Mornin’ Woody is a bacon-and-egg sandwich available all day. The man behind Li’l Woody’s: Capitol Hill mogul Marcus Lalario (part owner of Captain Blacks, investor in Havana, the Saint, and Molly Moon’s). A painting of Li’l Woody—a fuzzy, mini-Sasquatch-like creature—hangs in the narrow order-at-the-counter space, which is paneled in dark, unfinished wood reclaimed from the construction and “my friend’s fence,” Lalario says. Also: Molly Moon’s milkshakes and “crack fries,” which come with a little milkshake as dipping sauce.